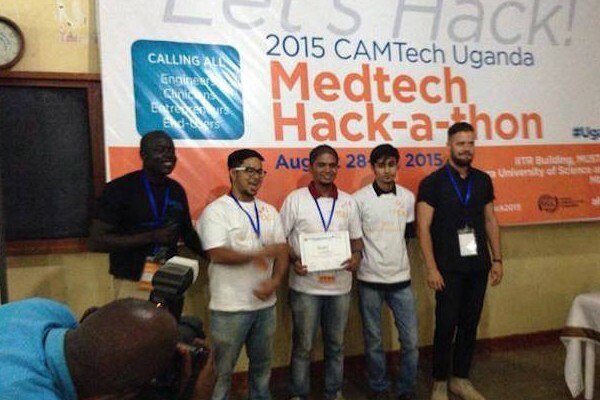 The 3rd Annual CAMTech Uganda Medtech Hack-a-thon brought together over 200 participants and mentors from more than 30 universities and organizations from across Africa, North America and Asia for a weekend of ideation, innovation and co-creation. 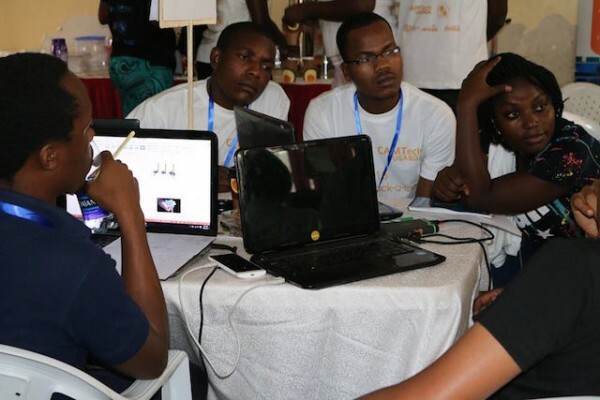 Held at Mbarara University of Science and Technology (MUST), the 48-hour event invited students, engineers, entrepreneurs, clinicians and end-users to collaborate and develop affordable medical health technologies that address identified clinical pain points in Uganda and around the world. 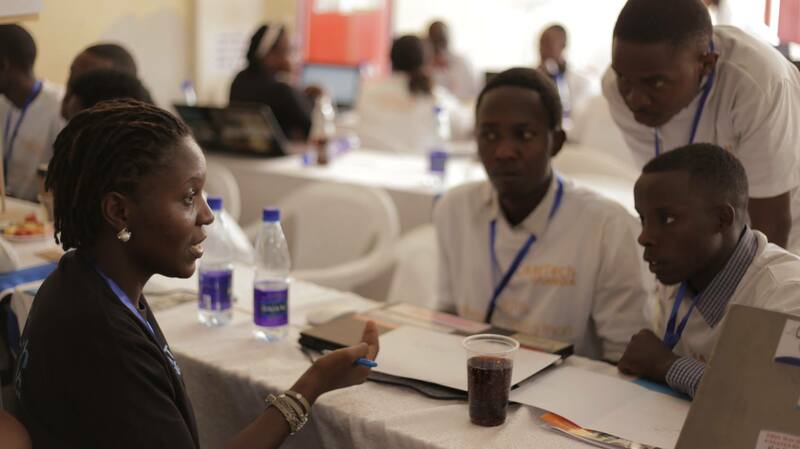 Prior to the hack-a-thon, CAMTech Uganda held three multi-disciplinary workshops addressing human centered design, entrepreneurship and best practices for success during and after the hacka-thon. CAMTech Uganda also organized clinical site visits to four different Ugandan hospitals where participants were able to hear from healthcare workers about the challenges they face caring for patients. A total of 47 teams presented novel technologies that addressed critical health care pain points, including lack of suction devices to challenges in neonatal and trauma care. Third Place $250 USD: Team Haem, an easy to use calibrated patient mat (mama mat) that helps to reduce the occurrence of maternal hemorrhaging. After a patient leaves the hospital, doctors expect patients to follow prescription directions, and return to the hospital for follow-up appointments to ensure that the patients will get better. However once the patients leave the hospital, there is often a lack of adherence due to forgetfulness, lack of understanding, and expense of prescriptions. Non-adherence causes multi drug resistant strains of the causative agent like HIV mutating. For chronic illness like diabetes, the patient is mismanaged and further damage is done on their which causes organ failure and death. The problem mostly affects patients with chronic illness like HIV, Diabetes and TB. There is a need for a better adherence system for pateints and healthcare workers to ensure that patients are correctly managing and treating their illnesses. There is a high maternal mortality rate during child delivery and during the risk bracket (6 months) after delivery. There needs to be a better solution for monitoring mothers during delivery and post delivery to ensure the health of mothers and reduce mortality rates. According to Prof Kabachenga, a 2012 report stated one cause of MMR is the contraction of the pelvis during childbirth. Currently in Uganda, over 400 women have died during delivery due to pregnancy complications such as pelvic contractions. In rural areas of Uganda, the percentages of women suffering from pelvic contractions are documented as high as 63.3%. Currently, there is no effective ranking system for clinicans to use in working with patients. This causes numerous problems in treatment as clinicans do not know the current status of their patients that require additional attention and treatment. In addition, clinicans are not reminded to follow up with patients which causes delays in treatment and increased issues with the patient’s health. There is a large need for a systematic mechanism or ranking system to remind the doctors about the patient’s condition to promote effective follow up. There is a lack of time and effort in maintaining medical equipment. Medical equipment needs to be constantly checked and serviced by qualified bio-medical engineers. Failure to do so, leads in efficiency of the functionality of the equipment. Unlike other equipment, medical treatment is used to treat human lives and therefore poor functionality resulting from poor maintenance could lead to loss of lives. There is issue around absenteeism of health workers in public health institutions. This leads to lack of or delay in treatment of patients and health workers being paid without attending work. There is a need for a tracking mechanism of health workers attendance to ensure the needs of the healthcare facility are met in both caring for the patients and financially. An o2 concentrator is required that can pull O2 from the atmosphere and concentrate it to 100%, so that it will never need to be refiled. There is a need for a solution that would filter out bad particles (TB, dust) and would ideally be non-energy dependent. At Mbarara Regional Referral Hospital, like many other hospital in low- and middle-income countries this type of suction capability is not available. There are only a few portable suction devices available that are taken between patients who need brief suctioning for their airway and, even these, are either impossible to find at times of critical need or not functioning or unable to be used because they require electricity to work. No continuous source of suction is available for any patient. As a result patients die every day because of something so simple, the lack of a continuously available suction device. A portable suction device is required that provides a source of suction without need for power/electricity. The device only needs to provide negative pressure and we would then be able to attach the necessary tubes/devices to that source of negative pressure in order to provide the care we need to for the patient in question. Many medical devices (otoscope, ophthalmoscope, pulse oximeter) require battery or electricity.The inability to take basic vital signs (pulse oximeters), or inability to view fundus/ears in case if batteries run out. This will delay medical care. Central charging station in needed on the medical/surgical wards with rechargeable batteries available for swap during ward rounds. The emergency communication system is nonexistent: If a patient is being transferred or coming to the emergency department/ward. Generally people do not know which doctor is on call to contact at MUST/MRRH. There is a need for a better communication method between hosptial management and physicians within the MUST/MRRH system to ensure efficiant transfers between patients. The stethoscope is an acoustic medical device for auscultation or listening to the internal sounds of human body. It is used to listen to lung and heart sounds, intestines and blood flood of artery and veins, and to measure blood pressure. The stethoscope is completely dependent on the health worker’s interpretation. This can lead to incorrect interpretations and diagnosis. This becomes even more difficult with medical school students since most of them are working under pressure, fear, or excitement. One challenge is monitoring the fetal heart! If the fetal heart is not well monitored, mothers risk losing their babies. Currently we monitor mothers using a fetoscope while in the developed world they use a cardiotopogram which is digital but expensive for us.An affordable alternative is welcome. Dr. Data is a Pediatrician and Lecturer in the Department of Pediatrics at Mbarara University of Science and Technology (MUST). He is the Uganda country manager for the Consortium for Affordable Medical Technologies (CAMTech). Dr. Data has championed the creation of an Innovations Ecosystem that includes the monthly MUST Innovation Café, an Innovation office, a Co-Creation laboratory and a students’ innovation internship program that target medical technology development for Low and Middle Income Countries. He is collaboratively involved in the development of the Augmented Infant Resuscitator an add-on device to existing bag-valve-masks that monitors and provides instant feedback on resuscitation quality. Dr. Data has a wealth of experience in research including clinical trials. Kristian Olson is the Medical Director of the Consortium for Affordable Medical Technologies (CAMTech). He is both a Paediatrician and Internist and serves as a Clinician Educator at the Massachusetts General Hospital and an Assistant Professor at Harvard Medical School. He has` worked in Darfur, Indonesia, Cambodia, Ethiopia, Uganda, and India, is a serial innovator and one of the architects of the CAMTech Innovation platform. He completed an undergraduate degree in biology at the University of British Columbia, medical school at the Vanderbilt University School of Medicine and his residency training in the Combined Harvard Medicine and Pediatrics Program. He trained in the Masters of Public Health program at the University of Sydney as a US Fulbright Scholar and completed a Diploma in Tropical Medicine at the London School of Hygiene and Tropical Medicine in 2003. David Bangsberg is the Director of the Massachusetts General Hospital Center for Global Health, Professor of Medicine at Harvard School of Medicine, Associate Member of the Ragon Institute of MGH, MIT and Harvard, Associate Member in the Division of Global Health Equity at Brigham and Women’s Hospital, and Visiting Professor at the Mbarara University of Science and Technology in Uganda. Dr. Bangsberg received his medical degree from Johns Hopkins University and holds a Master of Science from Kings College at the University of London and a Master of Public Health from the University of California, Berkeley. Dr. Bangsberg has researched and published extensively on adherence to antiretroviral medications in treating HIV/AIDS and has collaborations across sub-Saharan Africa. Graduated from Lund University, Sweden, in May 2012 with a PhD in Public Health with a focus on reproductive maternal newborn and child health. Holds a Master of Public Health (MPH) from University of Leeds in the UK and Bachelor of Medicine and Bachelor of Surgery (MBChB) from Makerere University, Uganda. For 11 years (2002-2013) he held the position of Dean Faculty of Medicine at Mbarara University of Science and Technology. He has led several international projects on strengthening the health system and community structures so as to improve maternal newborn and child health. His interests are in innovations geared at improving maternal, newborn and child health. The Maternal Newborn and Child Health Institute he leads is envisioned to become a centre of excellence in maternal, newborn and child health where innovations and research will be at its centre. Dr. Samuel Maling, MBChB, MMED, has a 17-year history of health care services and health professionals training in Uganda. He is the Dean Faculty of Medicine and Associate Professor of Psychiatry, Mbarara University. As the Faculty Dean, he is responsible for the training of medical doctors, medical laboratory scientists, pharmacists, graduate nurses, physiotherapists and pharmaceutical scientists in the faculty of medicine. Dr. Maling provides the overall management of the faculty in strategic planning, financial stewardship, staff recruitment and retention and links the faculty to the main university administration. He overseas and guides the curriculum review and implementation of undergraduate and postgraduate programs in the faculty, in improving clinical training both in the hospital and community setting, student assessment and planning and implementing community based medical education. As a faculty leader, Dr. Maling has built and nurtured both local and international collaborations and guided departments in achieving their academic missions. Dr. Maling is the local PI of the MEPI-MESAU program at the Faculty of Medicine, Mbarara University, a role he has played for the last four years. He is a fellow of the Foundation for Advancement of Medical Education and Research (FAIMER) in which he underwent training in medical education principles, curriculum development, assessment, teaching, mentorship, leadership and scholarship. Dr. Maling, a native Ugandan, has worked as a psychiatrist in a resource-limited setting since 2002 and a physician since 1995 and regularly provides care to patients afflicted with psychiatric-related diseases in rural community-based as well as clinical settings. He is part of a team of mental health professionals that carries out community mental health program in collaboration with districts, community leaders, community health providers, traditional healers and faith-based organizations to provide mental health services. Dr. Maling has also conducted and published research in southwest rural Uganda, and has partnered with international researchers in some of these efforts. .
Julius Ecuru, PhD,works as Assistant Executive Secretary in charge of research and technology management at Uganda National Council for Science and Technology (UNCST). UNCST is a semi-autonomous Uganda government agency responsible for policy and development matters in science, technology and innovation. Dr. Ecuruis experienced in a wide range of issues connected with research and innovation, particularly in low income countries. Some of the key ones relate to research/technology management, innovation systems development, and bioethics including human, environment and social safeguards in the advancement of science and research. Dr. Ecuru is also a research affiliate with Makerere University College of Engineering, Design, Art and Technology and Blekinge Institute of Technology in Sweden. He has also served on secondment at the Biosciences east and central Africa-International Livestock Research Institute (BecA-ILRI) Hub in Nairobi, Kenya. Dr. Francis Bajunirwe was appointed as Global Scholar in July 2009 for a 5 year duration, renewed annually and conditional on availability of funds. Since his appointment he has successfully published 6 papers in peer reviewed journals. As a result of the mentorship by DrBangsberg, he successfully applied for a grant from the Rockefeller Foundation (2009-2010) to conduct a study on health worker migration. Dr Bajunirwe has networked and established collaboration with the Harvard School of Public Health and now MUST is one of 5 African Universities in the Harvard-Africa Partnership for Cohort Research and Training (PacT). He has attended 2 research courses at the London School of Hygiene and Tropical Medicine and 3 conferences using support from the Global Scholars program. Sr. Marlene Teresinha Webler, member of the Religious Congregation of the Daughters of Divine Charity. By profession I am a B. Sc. N., at the moment, the in charge of Mother Francisca Lechner Health Unit II in Rushooka – Ntungamo District. I am a Brazilian by nationality and arrived in Uganda 1st of April 2005. I am the last born of thirteen brothers and sisters, whom I left behind in Brazil. I was sent by the Congregation to be in the Religious Community of Rushooka, and to do the Administration of the HU in Rushooka; later on, I was appointed in charge by the Congregation. It is my aim to serve the community guided by a spirit of stewardship and to promote shared responsibility, transparency and accountability in the Health Unit. My personal commitment is to promote the common good of the people, in a holistic approach in healing by treating, preventing diseases, and providing health education. Robinah holds a Masters Degree in Development Studies, Post Graduate Diploma in Development Studies and a Bachelor of Arts in Social Sciences. She also has professionally trained in ICT for Leadership, University Leadership and Management and Project Planning and Management. Robinah has served MUST for the last 12 years in different capacity from the lowest level as an Administrative Assistant/Faculty Administrator, to Senior Administrative Assistant, Assistant Secretary to the current position as Senior Assistant Secretary in charge of planning. Robinah is therefore has a wide experience in university leadership and management, planning and futures thinking, budgeting, human resource management, project planning and management and interpersonal skills grounded by the long service. She heads the Planning Unit at MUST which is responsible for spearheading university budgeting, strategic planning and coordinated key development project development and implementation. The Planning Unit also plays a central role in provision of information for purposes of planning, budgeting and reporting about university progress and planned developments. Currently she is a member of the University Top Management and also represents MUST at the Education Sector Budget Working Group in the Ministry of Education, Science, Technology and Sports. Bernard Kakuhikire hails from Mbarara, Uganda. Currently, he is the Director of the Institute of Management Sciences (IMS), Mbarara University of Science and Technology, Uganda. Bernard is a Principal-Investigator of Health Outputs Progressive Entrepreneurship Networks (HOPENet), a collaboration research and implementation project under the Mbarara University of Science and Technology (MUST) and Massachusetts General Hospital. HOPENet is designed to support HIV/AIDS patients on treatment. He oversees the project on the ground and makes necessary links with local and international partners. In addition, he is responsible for monitoring the study and ensuring its success. In this capacity, he works closely with the foreign HOPENet Principal Investigators Dr. Alexander Tsai, Assistant Professor of Psychiatry, MD Division of Global Psychiatry, MGH, Boston, Mass. ; and David Bangsberg, Director of International Programs at the Ragon Institute of MGH, MIT and Harvard. In addition to being a director of the Institute of Management Sciences, Bernard is an entrepreneur in theory and practice. He facilitates entrepreneurship modules at IMS. He is also Director in charge of Entrepreneurship at the Center for Research and Development, which provides career guidance and outreach programs to small and microenterprises in East Africa. Bernard is also a director and co-owner of a construction firm and runs two agricultural farms in Bushenyi and Sheema districts in South Western Uganda. Ms. Smitha Gudapakkam is CAMTech’s Business Development Manager and focuses on growing the CAMTech program both locally and globally. Ms. Gudapakkam provides an engineering and business lens to CAMTech’s initiatives through her background and experience in the healthcare industry. Ms. Gudapakkam has worked for large medical device companies such as Boston Scientific and Covidien and has contributed in research and development of new products as well as setting and executing strategy for division growth. Her expertise includes project management and implementation of Electronic Medical Records (EMR) software in several outpatient health networks across the country. Ms. Gudapakkam was born and brought up in Southern India, where she pursued her Bachelors in Biomedical Engineering from Osmania University. She moved to the United States in pursuit of her Masters in Biomedical Engineering from Syracuse University, New York. Ms. Gudapakkam also holds a Masters in Business Administration from Babson College, Wellesley MA with Global Management as her concentration. Ms. Alexis Steel is a Program Manager for CAMTech. Prior to joining CAMTech, Ms. Steel had worked with both the Contracts Team and the Post Award team at the Partners Healthcare Corporate office. Ms. Steel has worked with numerous nonprofit organizations focusing on women and children both locally and globally including working with several alternative education programs in Honduras. Her primary focus has been in global health and education reform across Central and South America. Additionally, Ms. Steel has continued to work with organizations focused on Human Trafficking and Domestic Violence education and awareness and has continued her involvement in working with women's shelters across New England. Ms. Steel graduated with her Bachelor’s Degree from Trent University with a double major in Global Studies; Globalization: Communities and Identities, and Culture Studies with a focus on Latin America. Charles Muchunguzi is a Pastoralism Development Specialist, Deputy Director, Head of Research and Graduate Studies and a Lecturer in the Institute of Interdisciplinary Training and Research at Mbarara University of Science and Technology.Charles has worked on a number health related research projects as a research assistant, consultant and lead consultant.He also participated as a Social scientist in the evaluation of the USAID funded Dish II project in 2002 on the Lwamagwa site. He also participated in the baseline survey for the OBA project of the Marie Stopes International in 2006 as a Sociologist.Charles was the lead Social scientist for the HIV sero prevalence survey that was jointly conducted by theDepartment of Community Health and the National Institute of Health (ISS, Rome). Geoffrey Bwireh has seven years of lecturing, community training, business ownership, and management experience. He is currently a lecturer in the Institute of Management Sciences at Mbarara University of Science and Technology, where he teaches undergraduate courses in procurement and value chain management. Geoffrey serves as a researcher and consultant for several agribusiness and commodity value chain innovation projects. His primary research areas include public/private partnerships, supply chains, agribusiness, and rural livelihoods. Additionally, he conducts community-based business outreach clinics to empower small and medium scale entrepreneurs with information on best practices, by sharing his personal business experiences. In addition to teaching at MUST, he serves as the managing director for M/s Smart Logistics (U) Ltd., a grain commodity trading company. In this role, he is responsible for overseeing the development and establishment of a coherent and realistic strategic plan for the company in relation to commodity trading. Bwireh is also responsible for managing the company’s finances and representing the company to local, domestic, and international stakeholders and partners. He is also involved with the Ugandan Red Cross and Dabini Rural Development Association as a volunteer, contributing his expertise in business and logistics towards resource mobilization and community empowerment. Geoffrey holds a Master of Management Studies from Uganda Management Institute and a Bachelor’s in procurement and logistics management from Kyambogo University. Additionally, he holds advanced professional certificates in procurement, supply chain management, and project management from institutions in Canada, South Africa, and the United Kingdom. 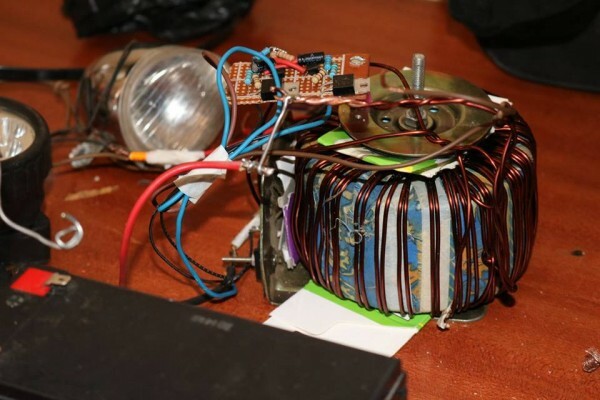 Michael Wollowitz is a designer and inventor whose work has ranged from miniature wearable sensors for medical devices to industrial CAT-scan inspection of forty ton rocket motors. After working for General Electric, Design Continuum, Organogenesis, and Audiological Engineering, he formed his own consulting and development company, Tangible Design Inc. in 1994. Dr. Annabella Habinka Basaza-Ejiri,(PhD, MSc, BCS) is a Senior lecturer and Director of the Institute of Computer Science. Annabella completed her PhD at the University of Groningen in July 2012. During her PhD study, Annabella gained the expertise and experience of using both qualitative and quantitative data to evaluate studies using various technological adoption models in Uganda. Annabella is current a research-uptake fellow with the Ministry of Education Science technology and Sports under the DRUSSA and UNCSTprogramme. Annabella was a fellow with the Australia-AID where she undertook e-learning training, assessed e-learning systems with over four Universities in Australia. It is on this basis that Annabella builds capacity for carrying out an e-learning study to improve health education in Universities in Uganda in this study. Annabella has over ten years teaching and research experience in ICT4 Development, Computer Science, Information Systems, decision enhancement services, e-learning, research uptake and quality assurance fields. Annabella is also directly involved with research for innovative ways of using ICT to improve health and other development related issues in a resource constrained environments using low-cost technologies. Dr. Kevin Cedrone holds a PhD in mechanical engineering, from the Massachusetts Institute of Technology where his research focused on improving efficiency and emissions in automotive combustion engines. As a postdoctoral research associate at the Plasma Science and Fusion Center at MIT, he researched novel systems to convert natural gas to liquid hydrocarbon fuels. Kevin has a passion for global health and development. Dr. Simon Anguma is the Dean of Faculty of science in MUST. In addition to his administrative position, he chairs a number of university committees including the Research Ethics Committee and the conracts Committtee. He is aphysicist by academic background; holding a master of science in Radiation Energy Physics and a Phd in Solar Energy Physics. He has a passion for Astrophysics and has mentored its establishment from the embryonic stage up to recognition as a center of excellence for Astrophysics in the Eastern Africa region.Astrophysics is closely tied to innovation. He has led a number of innovative projects in the department of Physics including the plastic granulator and currently the helicopter project. Irene heads the research and development function at Uganda’s Communications sector regulatory authority, whose mandates covers the broadcasting, postal and telecommunications services. She possesses extensive experience in sector planning, policy development, and implementation of related initiatives such as quality of services regulation, numbering resource management, conducting usage studies, as well as processes for set up of universal fund. In her current role, Irene has enhanced the Commission’s collaborations towards enhancement of ICT research and innovation as well as programs geared to development of ICT for environmental sustainability. In addition to research and development, Irene is the Corporate Coordinator for UCC. She holds an MSc in Communications Systems and Signal Processing from University of Bristol, a Bachelors Degree in Electrical Engineering from Makerere University and is completing an MSc in Economic Management and Policy. 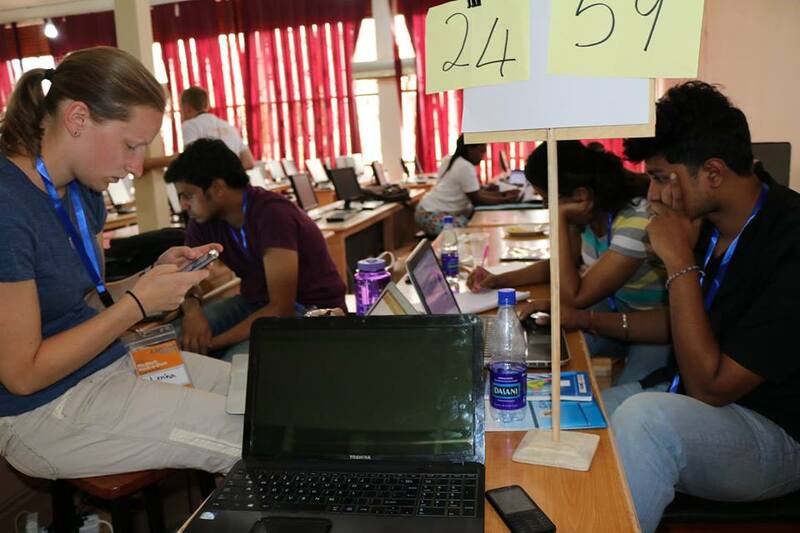 In case of any medical inquiry, need or emergency during the duration of the Hackathon here in Mbarara, CAMTech MUST has made special arrangement to have a 24 hour Physician on call to assist and attend to your health related issues. Dr. Joseph Ngonzi at MUST is available and can be reached on Mobile: +256 712 324830 or contact Asiimwe Lydia +256 753 908 800, she will advise you on what to do. During the meeting, a non – commercial service van will be available to enable any delegate(s) who may need to run into town for one reason or another including going to see Physician. Any delegates in need of transport please feel free to contact Alexis Steel or Asiimwe Lydia +256 753 908 800. The Ugandan currency is the shilling currently exchanging with the US dollar at 3500 shillings on average. Foreign currencies and foreign currency traveler’s cheques may be exchanged at banks. Banking facilities in Mbarara are open during normal office hours i.e. from 8:30am to 5:00pm Monday to Friday and 8.30am to 12.00 on Saturday. The open forex Bureaus open till late. Foreign currencies will be exchanged at the exchange rate at the time of transaction. Credit cards, such as Visa, Master Card, American Express, are accepted in only some banks like Standard Chartered, Barclays, Crane and Stanbic. There is a Barclays bank ATM machine at Mbarara university main gate. There will be wireless internet at the hack-a-thon venue. One can also access internet at the café ark (a coffee shop) near the Golf Course supermarket. Also some accommodation facilities like acacia, little woods and MGH Guest house have wi-fi access. The standard electricity in Uganda is 240 volts. It is advisable to have conversion plugs or adapters, if needed. There are night clubs in Mbarara, like Vegas(on top of café ark,) and Vision empire (near oxford inn hotel), etc. There a number of national parks in Uganda, Lake Mburo national Park is about 1.5 hours east of Mbarara. One can either do a game drive or/and a nature walk through the park to see the zebras, buffalo, warthogs. You will be able to eat fresh fish. It’s popular for day trips while in Mbarara. Runyankole is the local language spoken in Mbarara though Uganda has so many languages. Though most people in Mbarara can speak and understand English. It is important to know a few runyankole words, just in case you might have to use them.